With an array of destinations to choose from, WestJet Vacations offers something for everyone. Looking for a stellar collection of sunny destinations destined to sooth the soul and delight the senses? 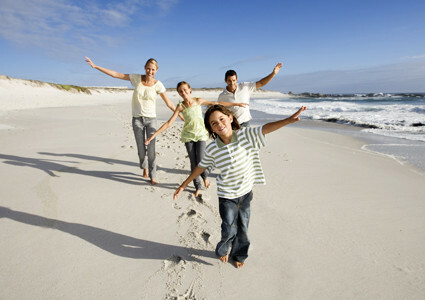 WestJet Vacations offers a spectacular selection of sun splashed vacation packages throughout Mexico and the Caribbean. 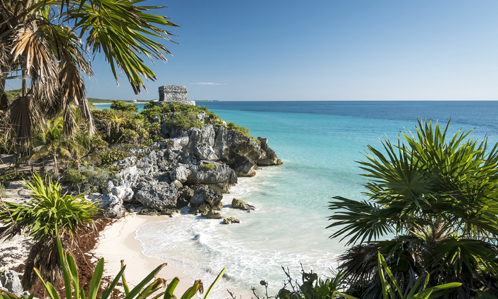 With more flights into Mexico than any other airline, WestJet Vacations delivers the sensational sunny vacation experience you’re looking for. 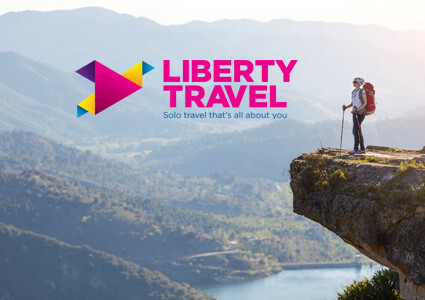 Like Cancun, offering endless sunshine over 25 km of white sand beaches, with easy access to urban and tropical adventures, the second largest barrier reef in the world, and the famous Mayan Ruins. Or head for the Pearl of the Pacific – Puerto Vallarta – a paradise for vacationers, with golden beaches, mountains, jungles, and more. Set your sights on the carefree Caribbean, starting with Antigua, the sunniest island in the Caribbean, boasting 365 beaches – one for each day of the year. Enjoy secluded, powdery soft beaches, world-renowned sailing, snorkeling and a history rich with exploration and adventure. Beach person? Aruba offers turquoise waters lapping brilliant sand beaches and a resort atmosphere complete with swimming, snorkeling, kite surfing, waterskiing and more. Steeped in English tradition, Barbados is characterized by the welcoming warmth of its proud people, with a thriving nightlife scene, plenty of festivals, and the calm, serene waters of its "Platinum Coast". Wherever you choose to go in Cuba, you’ll be treated to white sand beaches, colourful reefs, and loads of opportunities for relaxing and exploring with your WestJet vacation. Beginning in Varadero – an ideal destination for families and those travelling with friends, with plenty of all-inclusive resorts, and nightclubs with live music. 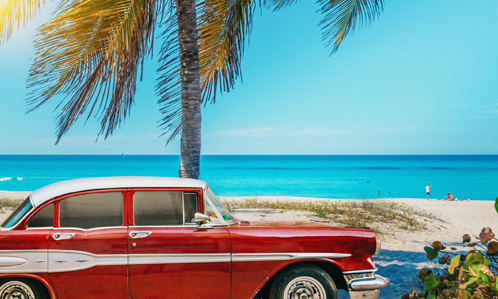 Just two hours away, Cuba’s capital city, Havana, offers rich history and culture, complete with classic 50s American cars, cafes, authentic Cuban cigars, and pulsing salsa rhythms. Feeling adventurous? You’ll love Cayo Santa Maria, full of mangrove forests and lagoons ideal for snorkelling and scuba diving, along with great fishing. 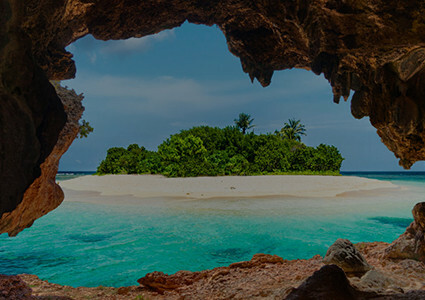 Or head for Cayo Coco, famous for its high-end luxury resorts and bustling nightlife. It’s also a great place to indulge yourself with a morning massage, or spend an afternoon reclining in the sun on a beachside hammock, with a crisp, cool, refreshing Mojito in hand. If you’re looking for the best of excitement, fun, and relaxation, don’t gamble on your next vacation – unless, of course, you’re thinking Las Vegas. Let WestJet show you this world-class playground catering to all ages, and constantly re-inventing itself, offering new adventures for first timers and veteran visitors alike. From award-winning restaurants, exclusive shows, and big-name entertainment like "O" by Cirque du Soleil®, to electrifying nightlife, award winning dining, and world-class shopping. Check out the exploding volcano at the Mirage, take in the circus acts over the Midway at Circus Circus, see thousands of tropical fish and dancing mermaids at the Silverton Casino aquarium, zipline down the main strip and so much more. 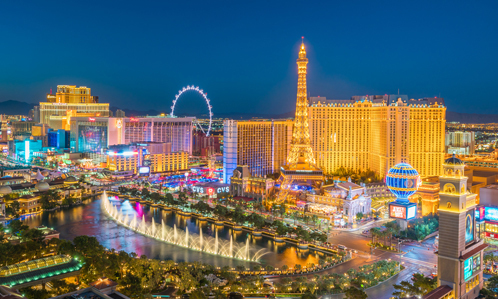 Whether it’s rollercoasters for kids, or lavish casinos for high-rollers, Las Vegas caters to everyone – even cost-conscious parents seeking a destination the whole family will enjoy. From Oahu, and Maui, to Kauai or the Island of Hawaii, let WestJet transport you to the land of breathtaking views, beautiful beaches and endless rainbows. The Island of Hawaii known as the Big Island is home to unique black sand beaches, fantastic snorkelling and scuba diving, as well as some of the world’s best deep-sea fishing. Maui is a superb destination offering the best in relaxation and luxury, with couples massages and body treatments with volcanic ash, and some of the best pro-calibre golf courses in the U.S. 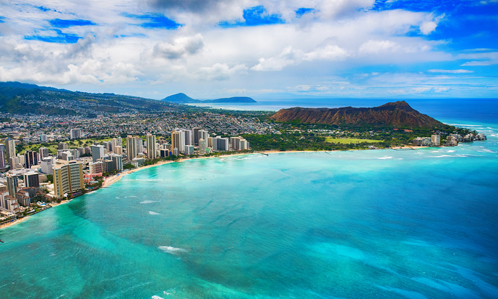 Located on the island of Oahu, Honolulu is the perfect place to immerse yourself in Hawaiian culture, with South Pacific-influenced cuisine, Polynesian music and hula dancing. Join the party at a luau, grab a surf lesson, or ride the waves on a boogie board. Kauai is the fourth largest of the Hawaiian Islands, blanketed in a lush green canopy of trees and emerald mountains, perfect for surfers and adventurers – even a romantic wedding on velvety smooth sand beaches. Where can you find a more diverse vacation offering on the continent, than Florida? Let WestJet show you the very best! Famous for family-focussed vacations is the Magic Kingdom theme park at Walt Disney World Resort in Orlando. It’s home to Disney's Hollywood Studios, Epcot, the DisneyQuest arcade and loads more family fun. Orlando also boasts world-class shopping, spas, delectable international cuisine, parks, art, and 176 golf courses. Fort Myers is the ideal locale for a budget beach getaway, with plenty of sand, surf, seafood, over 80 km of beach, and an average annual temperature of 25°C. Then there’s Fort Lauderdale, with hundreds of kilometres of inland waterways filled with yachts and gondolas, flanked by mansions and the famous Everglades. Looking for more sizzle, sun, and exotic nightlife? 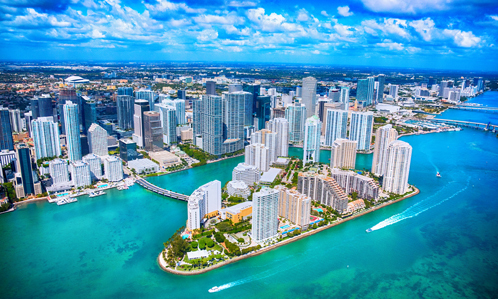 Try Miami on for size, with delicious Cuban restaurants, salsa clubs, art galleries, renowned Art Deco architecture, and the famous Miami Beach. Wherever you go in Florida, you’ll quickly see why it’s a paradise for swimming, surfing, sunning, and shopping, with all kinds of exciting activities and fun sure to please everyone. Use Cash Miles or Dream Miles exclusively on package vacations and cruises. 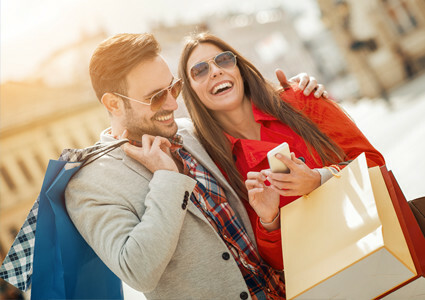 Get 1 Mile for every $20 spent**! *Offer is valid on new, individual vacation packages including airfare booked between March 19- May 31, 2018 for departures up to December 31, 2018 with WestJet Vacations. Not applicable on group rates, air only or land only bookings. 2X Bonus offer cannot be combined with any other promotional offer. 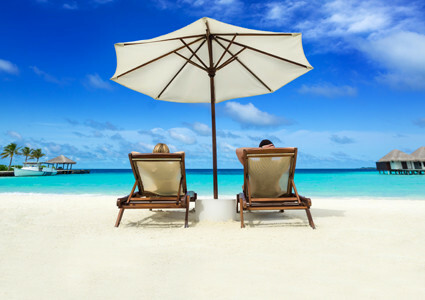 Base reward mile offer is 1/$20 on vacation packages and cruise fares. AIR MILES offer code: MTWJVPX2. Offer applies to the Base Miles earned on qualifying purchase. Limit of one Bonus offer per room booked. 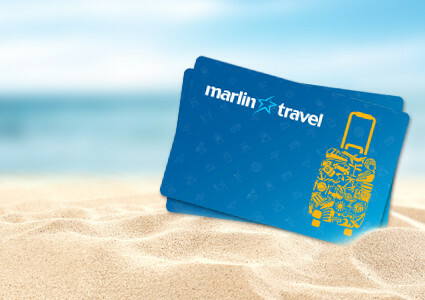 Full offer details are available from your Marlin Travel Professional. **Get 1 Mile for every $20 spent on vacation packages and cruise fares, excluding taxes and service charges. Certain conditions may apply. To learn more, visit our website. Other conditions may apply. Marlin Travel is a division of Transat Distribution Canada Inc. ON Reg. #50015084. BC Reg. #23567. Head Office: 191 The West Mall, Suite 800, Etobicoke, ON, M9C 5K8. ®™Trademarks of AM Royalties Limited Partnership used under license by LoyaltyOne, Co. and Transat Distribution Canada Inc.